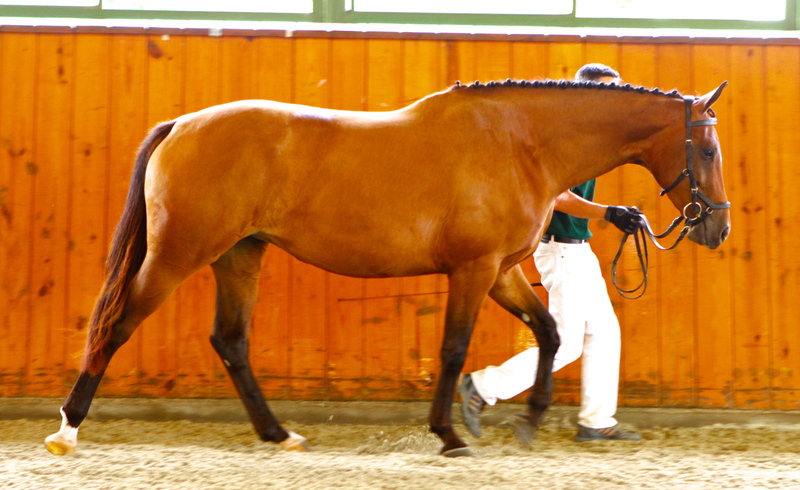 Escada is a 16.1 hd powerful and sensitive KWPN mare all in one package. 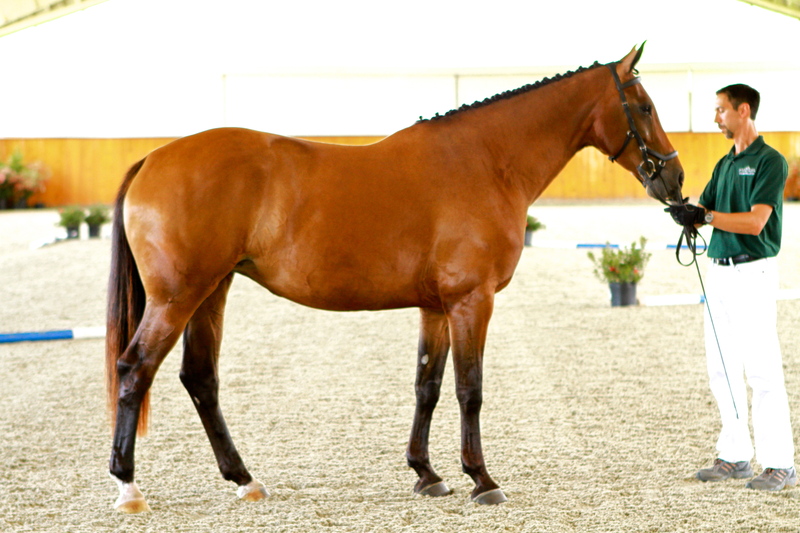 She has a ground covering walk and canter with a rhythmic, supple trot that one could sit all day. 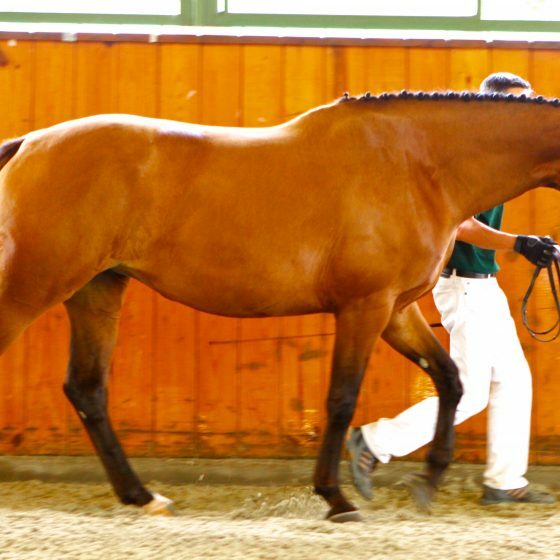 She has correct dressage basics, a steady and even connection, and a solid foundation for further development up the levels. 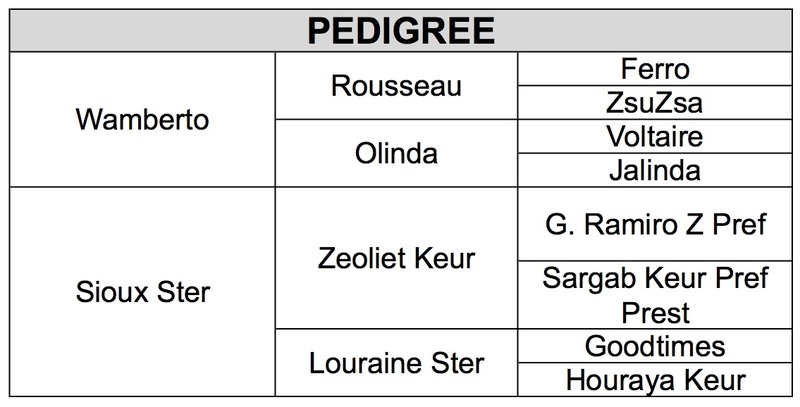 Currently schooling 2nd/3rd Level, Escada's natural ability and willingness to work will take her far. 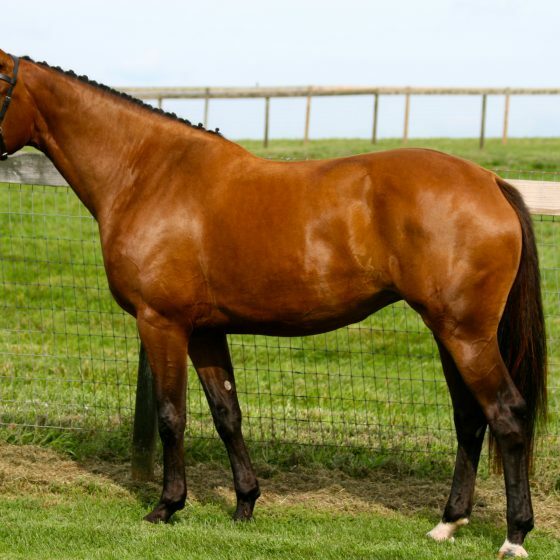 Escada has great form over fences and enjoys jumping. 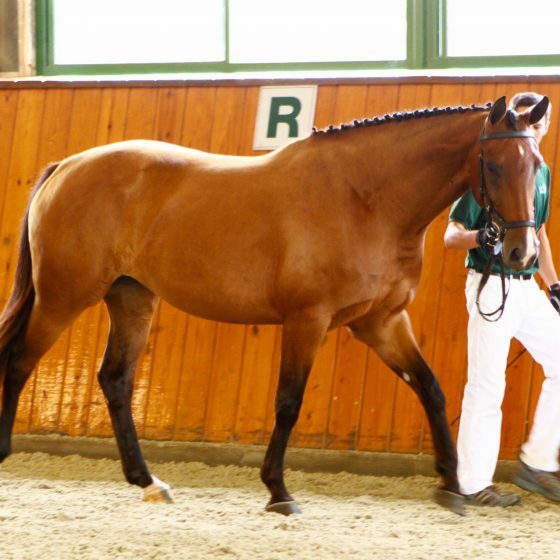 She is the type of mare that will bond with her rider and show up every day willing to work. 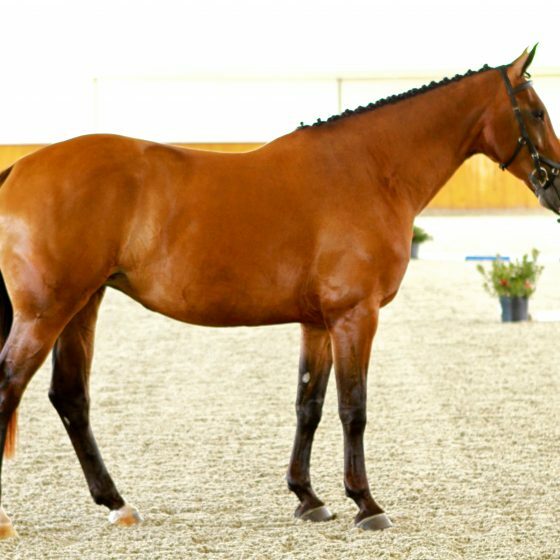 Escada needs a competent and sensitive rider to help her build confidence during her young horse years, and is best suited for a professional or ambitious rider in a regular training program. 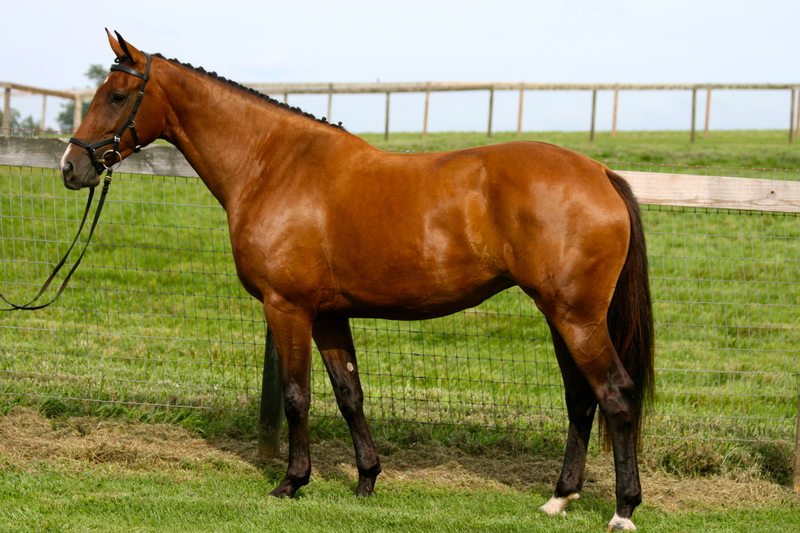 She clips, stands for the farrier and vet, trailers, and is easy to handle. 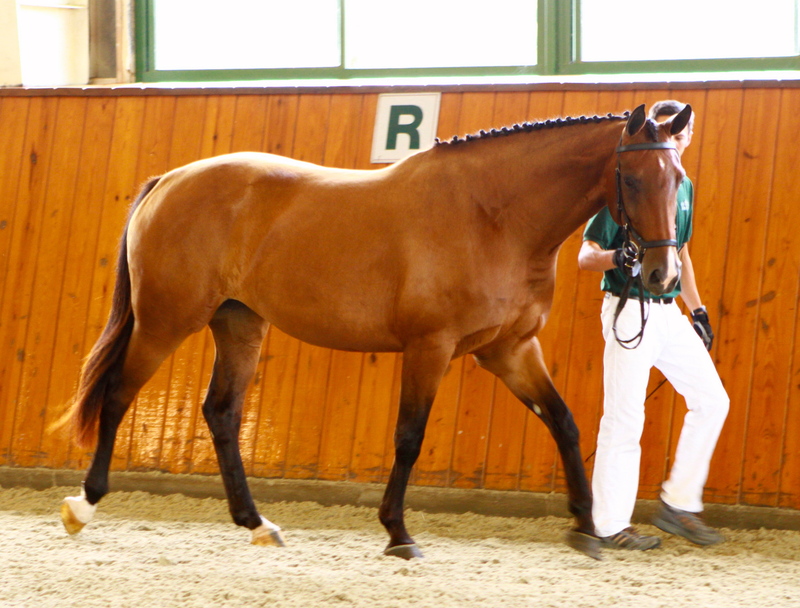 Escada is KWPN Reg A, also approved with the ISR/Oldenburg in the Premium Mare Book. *Update: SOLD! Congratulations to Holly and Dave Kovach!